So it's mid-May and that's a perfect time for our monthly "best Mini PC deals" article. If you're looking for other electronics you might check out the Lighting Flash Sale promotion on GearBest, you might find quite a few tablets, phones and accessories there, some of them heavily discounted. But this site is about Mini PC's so let's take a look at what's available right now. 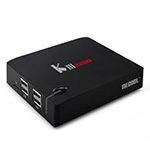 The Mecool KM8-P Mini PC is quite interesting, you might believe that the price is a typo, as it gets very close to the entry-level RK3229 devices in price and it has an Amlogic S912 SoC! Granted, the rest of the specs are according to the price range (1GB RAM, 8GB ROM, 100M LAN) - but it's still a very good deal if you don't need something too fancy. Mecool KM8-P is currently listed for just $35.99 on GearBest. Speaking about fancy - the Mecool KIII Pro has the same SoC as the KM8-P , but everything else is different - including the price, of course. This one comes with Gigabit Ethernet, 3GB of RAM, 16 GB ROM - and, as a bonus, dual DVB-T2/S2 tuner. Mecool KIII Pro is currently listed for just $117.99 on GearBest. 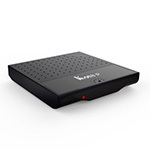 Back at $89.99: Beelink SEA I is powered by the Realtek RTD1295 and comes with an internal HDD bay (2.5''), two HDMI ports (in and out), USB 2.0 and 3.0, Gigabit Ethernet, dual-band wi-fi with internal antenna. Another Beelink? yeah - this time with an Amlogic S912 SoC and two versions (one with 2 and one with 3GB of RAM - DDR4). Currently listed on GearBest for $62.99 (2GB) and $74.99 (3GB DDR4). If you find yourself in need of a bit more processing power - and perhaps Windows 10 fits your needs better than Android - the Beelink AP34 provides both. Powered by a Intel® Celeron® N3450 SoC, Beelink AP34 benefits from 4GB of RAM, 64GB ROM, quite a few ports and Windows 10 preinstalled . Let's not forget about gigabit ethernet,and dual-band 802.11 a/b/g/n/ac wi-fi. You can add a SSD later on if you need more space (M.2, up to 320GB). Beelink AP34 is currently listed for just $159.99 on GearBest.